At the foothills of Crete’s impressive Mount Psiloritis, the island’s highest mountain, there are three gorgeous stone and wood guesthouses that overlook a dreamy valley. Travelers who stay in one of these should consider themselves lucky! 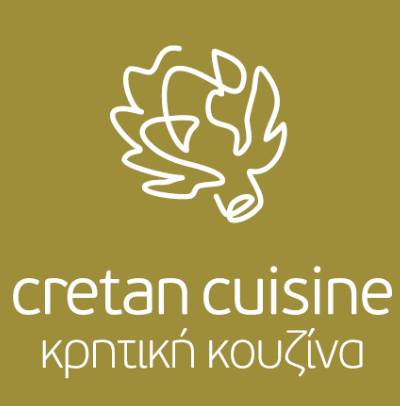 The three Earino guesthouses, along with the ‘taverna’ restaurant-café, epitomize Cretan hospitality at its best. To begin with, the rooms are warm and cozy with their traditional local décor and fireplace, yet discretely pack in all modern comforts such as TV, Wi-Fi internet, radio/cd player, air conditioning and a well-stocked kitchen. Chances are, though, you won’t be spending much time indoors, as the outside ‘taverna’ with a stunning view of the valley and the surrounding nature will lure you away from your quarters, gorgeous as they are. As you find yourself sitting on this terrace of the gods and admiring the finer things in life, a panoply of delicious dishes will make their way to your table. For breakfast you’ll be delighted with the mountain honey, country omelet and thick, creamy Greek yoghurt. Feeling the freshness of the morning here, in full view of the Malevyzi valley, is a once-in-a-lifetime experience. In the meantime, lunch and dinner at the Earino ‘taverna’ deserve a gourmet award: extra-virgin olive oil, organically grown vegetables, the most authentic cheeses and the choicest free-range meats will conspire to make the dishes come alive with flavors and aromas. Roast meat and potatoes prepared in a wood oven, sumptuous local cheese pies, hearty country sausages and fresh salads with lots of tomato, cucumber and herbs will certainly whet your appetite. There are some regional specialties too such as the sautéed snails, soft cheese pies (agnopites), and the local rusk topped with tomato, olive oil, white cheese and oregano (Dakos). As you enjoy the table before you, sip on some local wine or strong local liqueur called tsipouro (not for the faint hearted). You can also try the similar Raki, or even participate in its production with a celebration if you visit during the right season! Hike your way around this paradise and explore some breathtaking hiking paths. One of these will take to the impressive Gorgoliani Monastery with a Venetian fountain from 1617. You can also hike up to the Prinos mountain shelter, as well as around Zaros Lake and Rouvas forest. The shelter is a hub for hikers and mountain climbers and can host up to 40 people overnight, while the nearby village of Ano Asites will delight you with its stone houses, folklore museum and authentic Mediterranean village feel. Closer to home, you can take a leisurely walk to the nearby abandoned, haunted lower village of Kato Nisi, with only a few families left in the upper part, Pano Nisi. For even more active sports try canyoning, mountain biking, and mountain climbing, which can be arranged with the help of the guesthouse. Crete’s majestic canyons, olive groves, verdant valleys, high mountains and mild weather add the perfect backdrop to outdoor adventures. Lastly, worth mentioning as well are the many fascinating churches and archeological sites in the area that will unveil the rich history of this area in an unparalleled natural setting. Simply put, warm hospitality, great food and a myriad of activities eagerly await visitors to the Earino!